Product code: 498 Categories: Sold Items, Sold Rings. 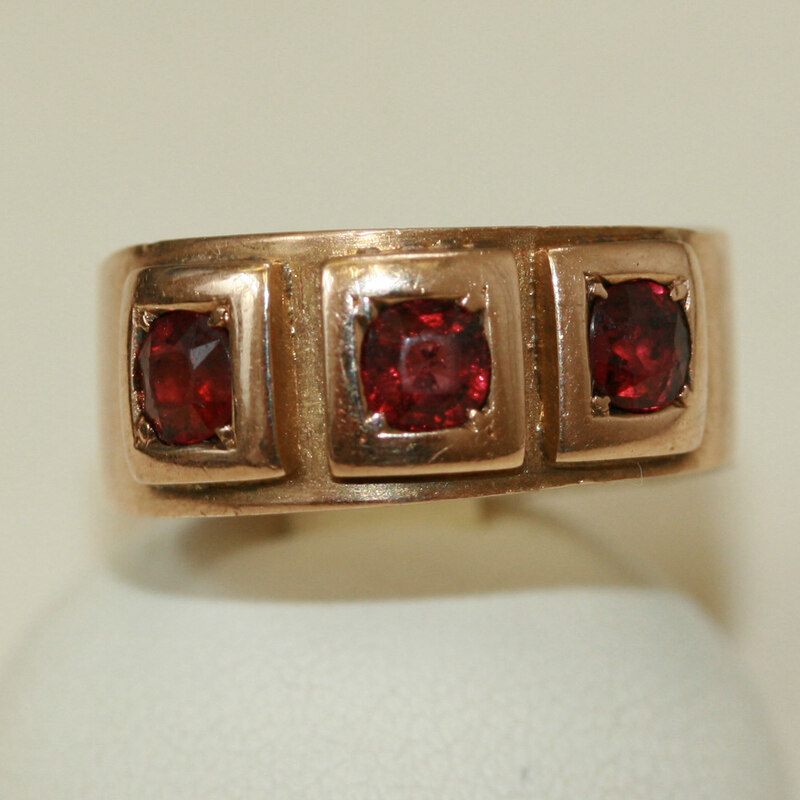 This wonderful garnet ring was made by Stevenson, an early Australian maker from the 1900’s. Set with 3 garnets in a desirable gypsey setting, it is made in 18ct rose gold. A wonderful ring that sits perfect on the finger.